A flock of Eastern Bluebirds (Sialia silalis) flew in from Mountain Lakes NJ this week. 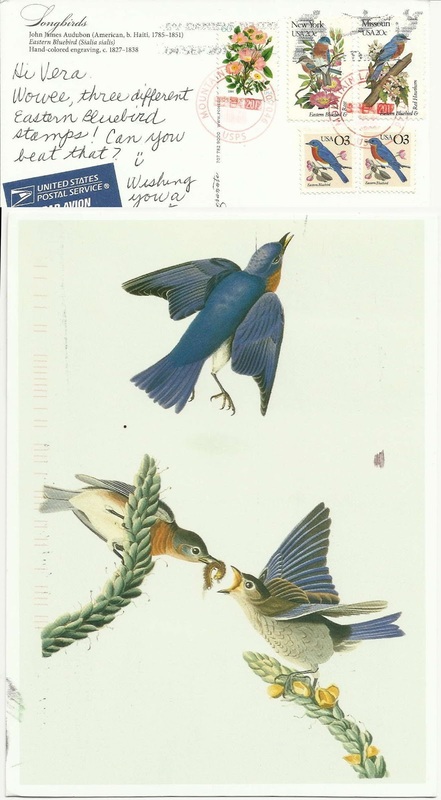 As you can see on the stamps this bird represents New York and Missori States and is also featured on the 3c definitive. The front of the card is Audubon's hand-colored engraving (1830) of the Eastern Bluebird.